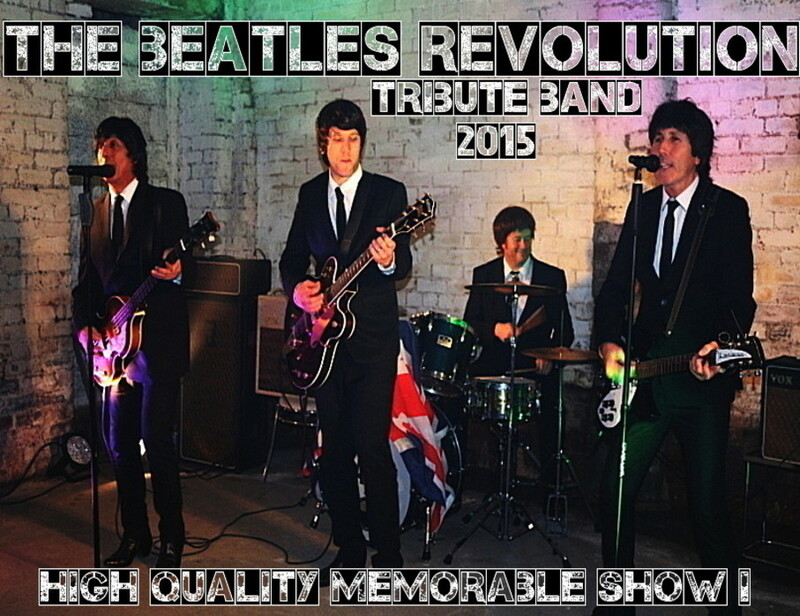 The Beatles Revolution Tribute band is a very well established Wedding Band all across the UK with many references and testimonials which can be read on our website, We offer the most enjoyable SHOW for your wedding reception , with songs , all number one’s which are known world wide by many different generations, at your wedding these songs will be enjoyed by all your guests , grand parents, parents,aunts and uncles , your friends and children , young and older. The Band ‘s reputation is exceptional and you will see form the Testimonials that we take great pride and joy from involving as many guests as possible in the Show, by for instance inviting them on stage with the Band to sing along with us on a song or two, we also invite the youngsters to sing with us songs like Yellow Submarine, the Show ends with HEY JUDE , always guaranteed to bring everyone to their feet to sing along and make sure your wedding and Reception are remembered for a very long time. 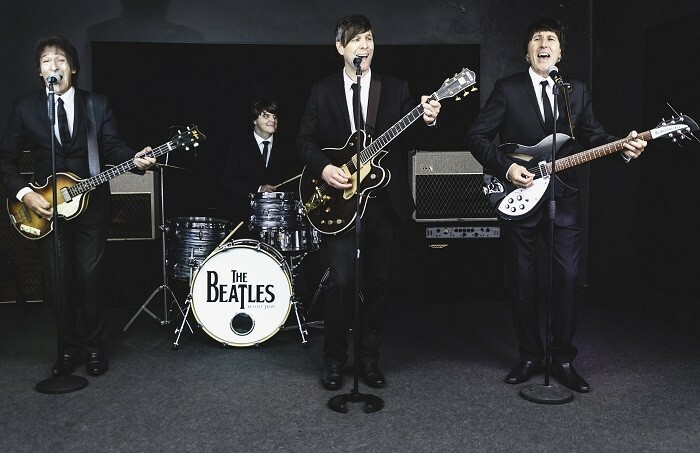 The Beatles Revolution Tribute band is based in Leeds , and for this reason we offer a very special discounted Fee to all weddings in Yorkshire as a whole, we already have a number of weddings booked for 2016, please check our website for all already booked weddings, choose a free date and get in touch to get your very special Discount ! The Beatles Revolution also offer a DJ Option, which means that the Band would play your own choice of music, before the show, in between sets and after the end of the band’s performance, this at a very very good price. With this DJ Option you will be able to send us your SET LIST of songs you would like to hear at your wedding. The show is usually a 2 x 50 minutes sets. Thank you , we look forward to hearing from you soon , Hire one of the Greatest Live Entertainment Live band in the UK today and 2016/2017.